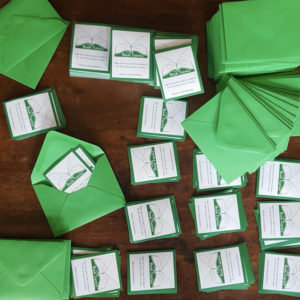 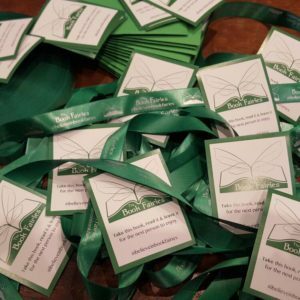 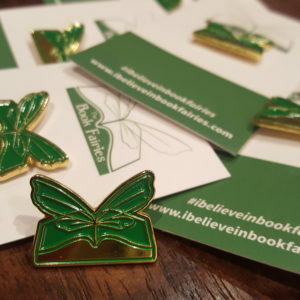 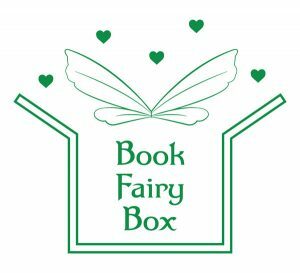 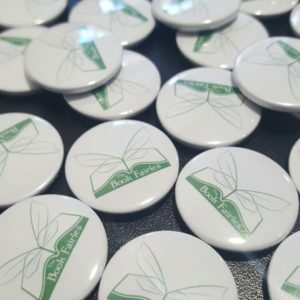 These little green button badges are green with a white book fairies logo on! 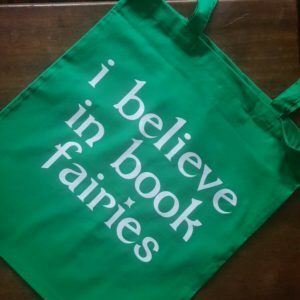 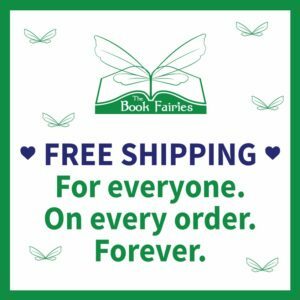 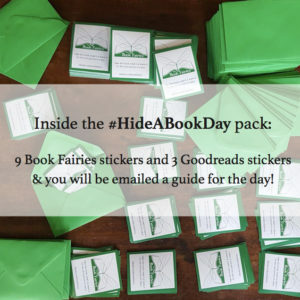 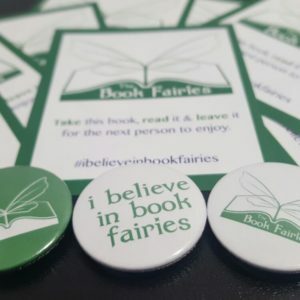 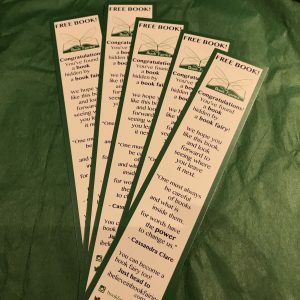 Have fun with a book fairy badge!! 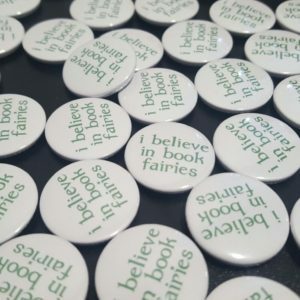 They are tiny and very cute.